Over the years the students of SAS have entertained a series of “phases” that range from a passion for the “silly band” to the monogrammed sweater. This year’s newest phase is Brunch, the sophisticated combination breakfast and lunch. Once reserved for formal occasions, the Sunday brunch has become an every-weekend affair. To see what the fuss was about, Stephanie Planca and I decided to visit a restaurant known for brunch – Kith Cafe –on the beautiful Quayside Isle on Singapore’s private resort, Sentosa. The fantastic location included a cool sea breeze and a scenic view of the turquoise waters and affluent yachts bobbing in their docks. It had an alfresco setting, complete with outdoor seating spilling onto the quayside. Their specialty is western brunches. We ordered three dishes: Blackstone Eggs ($17), Spaghetti Carbonara ($20) and a Sirloin Steak sandwich ($23) and two sides, a vanilla shake for me ($7) and smoked salmon ($5), all of which added up to a whopping $80, inclusive of a 17% GST and Service tax. 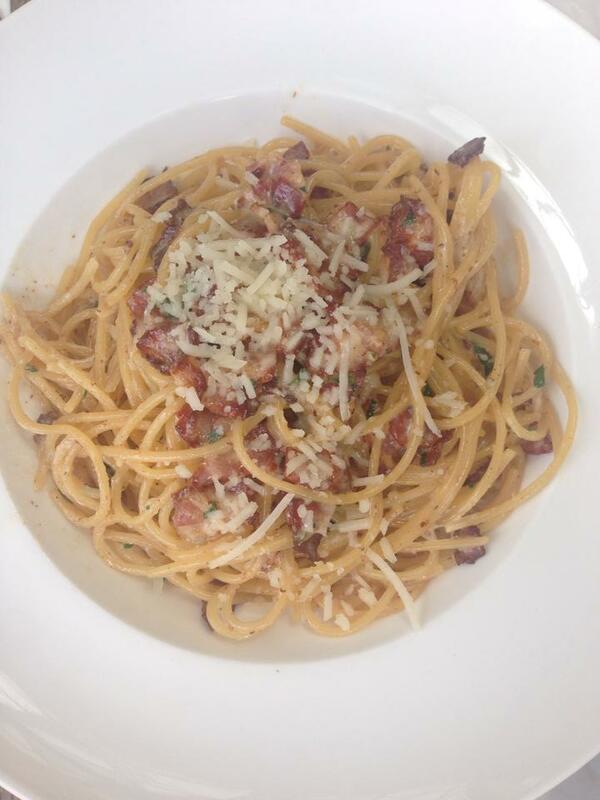 Spaghetti Carbonara: Spaghetti with bits of bacon and egg and served with cream sauce. For the most part, the food was excellent. Everything was prepared and arranged beautifully to look aesthetically pleasing. 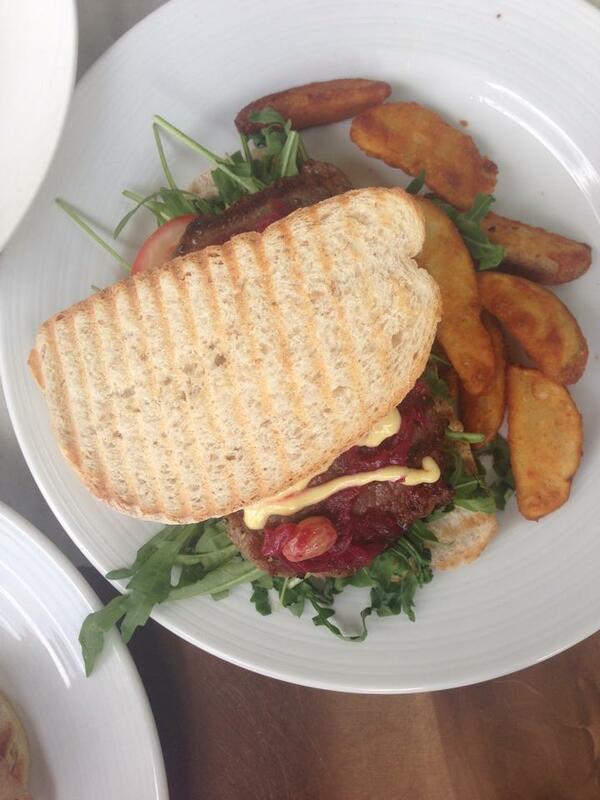 The spaghetti carbonara tasted as good as it looked, and the sirloin steak sandwich tasted even better than it looked. The only disappointment was the eggs, which fell short in the taste department. Unfortunately, the experience was ruined by the screams of construction taking place right above the restaurant, as well as the shrieks of young children in the daycare center – also above the restaurant. Perhaps that makes the restaurant more of a family place, allowing parents to get in a private meal while their children play in the daycare center above. But the worm in the apple was the service. I have never been served by a more hostile wait staff. I understand that waiting tables is not the most ideal occupation; however, there is no reason to be hostile to patrons who treat you nicely. All around us the other customers greeted their servers with smiles and cheerful voices, yet they all were met with the same cold, blank one-worded responses. Pity those who asked a question about a dish – they would be treated to a look of utmost disgust. While Kith Cafe had excellent food, I would not recommend it to anyone who values their ears or doesn’t enjoy being served by hostile waiters.